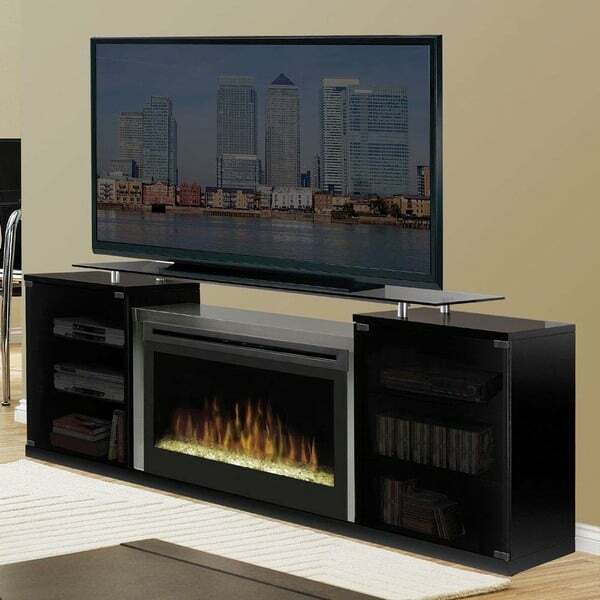 The Marana media console and fireplace by Dimplex is one in a huge collection of combination furniture pieces. The Marana is one of the more contemporary looking pieces form the collection, with a sleek black finish and floating glass top. It focuses primarily on presentation of the fireplace component. The fireplace is an electric fireplace that features both heat and a faux fire visual show. The flames and heat may be controlled and adjusted as necessary by a convenient remote control. Flames can be engaged without the heat, heat can be engaged without the flames, or you may engage both or neither. The heat comes from a powerful fan-forced heater that can keep your room cozy and warm for only pennies per hour. The flames feature multiple visual settings that you can toggle between for real-fire effect. The floating glass top holds a television up to 60’’. 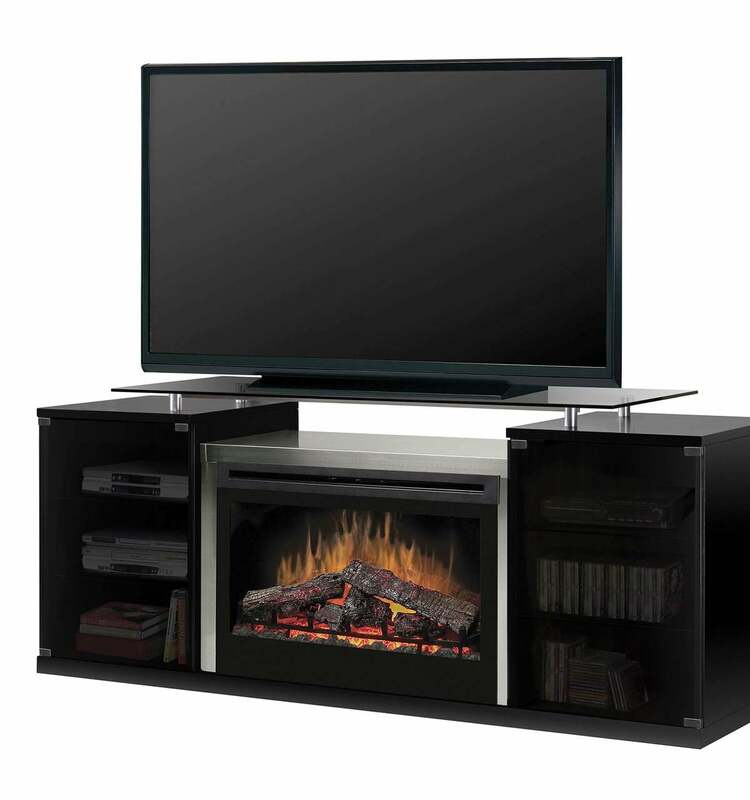 Sit back and enjoy the show, whether it’s the television program, the flame setting or both. Dimensions 75.6" W x 33.1" H x 20.9"